Ranch at Cypress Creek is a well established neighborhood with great amenities, as well as great shopping, schools, and major thoroughfares nearby. It is located off of Cypress Creek Rd. and is just a few blocks from Cedar Park high school. Amenities include community pools, pavilion, tennis courts, soccer fields, park, and a playground. Elizabeth Milburn Park is also located here, and is a big draw for residents of the city. I helped spec out some of these homes back in the early 1990's when they were built, so I know them well. Shopping is is also fairly quick at Lakeline Mall nearby, 1890 Ranch in Cedar Park, Round Rock Outlet Malls, The Domain and the Arboretum both in north Austin. Commuters have fairly quick commutes into Austin, Leander, Georgetown, Round Rock, Pflugerville, Liberty Hill, and Lakeway. 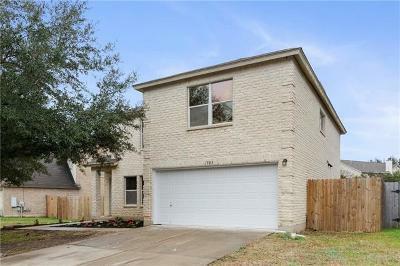 Homes for sale in Ranch at Cypress Creek typically run from the low $200's-low $300's. Deer Creek elementary, Cedar Park middle, and Cedar Park high school.